A major industrial landholding spanning 23,786 square metres in MacGregor, south of Brisbane, was purchased by Harvey Norman with plans for future development. 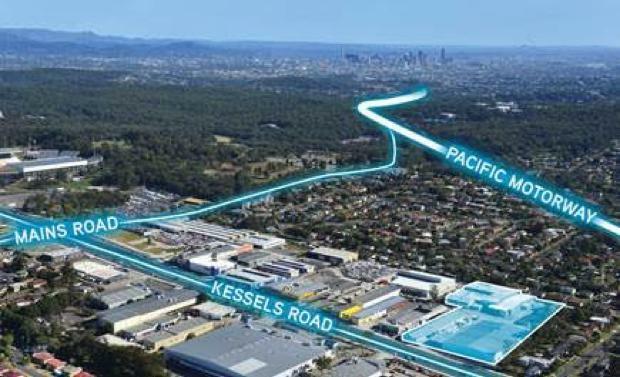 The site is located at 572 and 588 Kessels Road and features over 10,000 square metres of existing NLA currently occupied by Asahi Beverages, one of Australia’s largest soft drink bottlers. “Asahi will be relocating the production process housed at MacGregor to another facility they operate in Brisbane to create a more efficient manufacturing footprint,” Colliers International's Anthony White said. Mr White was responsible for negotiating the sale along with his colleague Matthew Frazer-Ryan. According to Mr Frazer-Ryan, Harvey Norman thought the precinct was a great opportunity for them being the last available major holding along the Kessels Road large format retail strip. “They plan to build a large format centre onsite that will offer opportunities for other tenants to join them," he said. “The strategic location of the site is vital for the future growth of their store footprint. MacGregor is a strong performing precinct and Harvey Norman will work over the medium term towards a development outcome that will add even more diversity for customers in this precinct. “Sites of this size with main road exposure and high level of existing infrastructure in place are increasingly rare throughout Brisbane, particularly as residential rezoning has been prevalent. “The property features great access via the existing dual crossovers, generous on-site parking and over 101 metres of frontage to Kessels Road,” Mr Frazer-Ryan said. A spokesman for Harvey Norman said that they were expecting to push on with redevelopment of the site in the near term, with leasing opportunities for other complimentary businesses part of their concept plans. “The site is situated in a fast changing and popular large format retail precinct and we received strong interest throughout the six weeks Expression of Interest campaign," Mr White said. Harvey Norman was one of over 80 to respond to the site's expression of interest campaign, with multiple offers from high net worth investors and developers also submitted.